"You will never see it coming." A captain of a Soviet submarine is placed on a secret mission. This mission can mean life or death for the entire world, and no one knows it. Everything can change quickly. The captain has to abandon his family as he goes on this secret mission. The entire mission becomes a mystery wrapped within a mystery. The captain comes to a point where he does not know if he will ever see his family again. 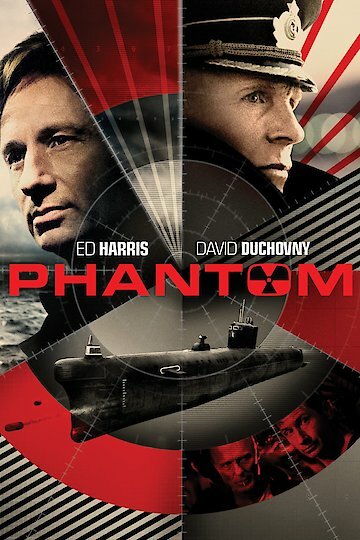 Phantom is currently available to watch and stream, download, buy on demand at Amazon Prime, Starz, Amazon, Vudu, Google Play, FandangoNow, iTunes, YouTube VOD online.